New Mexico trout anglers likely use more Pautzke salmon eggs than any other state. It’s one of the few places where we could drop a pallet of Green, Tyee, Premium or Gold Label salmon eggs on the floor of a retailer and be confident they would all sell in a few months. We kept this in mind when testing our newest addition to Pautzke’s world-renowned bait arsenal: Fire Balls. New Mexico was the only state we visited twice to test these eggs before being confident that the Fire Balls were exactly what we wanted them to be. Fortunately, all our tests went exactly as planned. We put on lots of miles in Northern New Mexico to ensure the trout ate them as well as our real salmon eggs. The journey took us to the Pecos, Chama, Rio Mora and Red Rivers as well as Monastery, Eagle Rock and Hopewell Lake. (Many of the sample jars have made it to Colorado, too.) While there are 11 colors/styles of the Fire Balls we focused on fishing a handful here, namely Red, Red with Glitter, Chartreuse Garlic, Pink Shrimp and Gold Garlic. Why did we choose the above waters? For starters, they are well known and heavily fished. We wanted to test Fire Balls in busy, public waters and places where anglers could watch us do it (both in person and on Pautzke Outdoors). We met hundreds of New Mexico trout anglers those weeks and passed out Pautzke hats and samples of the new eggs. I enjoyed learning how all of you fish Pautzke products and hearing countless success stories. Fire Balls are going to become a favorite in the region. They stay on the hook better than real eggs and are more durable, yet remain Soft But Satisfying. Many asked us why we came out with the Fire Balls. It’s no secret there’s been a shortage of real salmon eggs for the past few years. Unfortunately, smaller returns of salmon due to poor and depleted food sources, along with cutbacks to the salmon fisheries programs, weather related issues and the illegal sale of bait as caviar has put a strain on us (and our competitors). The price of eggs has skyrocketed and the supply has decreased. This has hit home in New Mexico (and other places) where Green Label and Gold Label have been out of stock for much of the spring and summer and will remain so in the fall. The new Fire Balls, we believe, will take pressure off real eggs. What are Fire Balls? Fire Balls look, smell, taste and fish like our Balls O Fire salmon eggs you’ve used since you made your first cast. However, they aren’t real eggs. Dad Pautzke has been extremely busy in The Bait Lab and found a way to use real salmon egg juice to make these Fire Balls. We’ve all seen fake eggs from injection molded plastics come to market in the last decade and many of you have used them with success. These eggs aren’t like those. They aren’t plastic, Styrofoam, synthetic, etc. This is a biodegradable material, which is infused with the same real egg juice strained from our Balls O Fire salmon eggs. The difference between Fire Balls and our real eggs is Fire Balls have more of a slippery, gummy bear consistency. 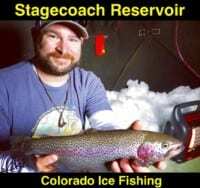 They don’t float (neither do our real eggs), they don’t fall off the hook, they don’t pop when pierced on a hook and we’ve found you can catch multiple fish on one egg (as we proved in a few of our episodes of Pautzke Outdoors filmed on the Red River and in Northern New Mexico recently). We’re excited for you to fish them and thank you for being our No 1 state (Colorado, you’re No 2). We will be back filming in mid September (and in Colorado in mid October) and hope to meet more of you on the bank. Editor’s Note: Currently Pautzke new Fire Balls are only available at all New Mexico and most Colorado Walmart & Bass Pro Shop locations. They have Red and Red with Glitter in stock and a few of them have Pink Shrimp and Chartreuse Garlic (but in limited quantities). We hope to add more retail outlets soon. By late winter Walmart will be carrying five colors of the new Fire Balls in both states.